For us it was a blessing to have met you! You did absolutely everything possible to help us find a beautiful home! We spent several days together with you, touring and looking at many different houses. We were already beginning to feel frustrated because we couldn’t seem to find the right one. But the last one we visited made our hearts jump with joy! We immediately felt comfortable and we are very happy with our decision. Dear Martina, you were always by our side, with your advice and practical assistance, you did everything you could for us, going beyond your professional responsibility. This is not something we normally expect, so we thank you from the bottom of our hearts! Don’t ever change, stay the way you are! We wish you continued success and all the best of luck in the future. We won the grand prize when we bought our last house in Uruguay thanks to your tremendous support, after several sad experiences with local real estate agents. He have bought houses in Uruguay and in Canada but have never had such a positive experience working with someone like we had with you. You helped us with lots of good advice and interesting information, and you became a very dear friend. Our emails were always answered immediately, something that is very unusual in Uruguay. You answered the most impossible questions with patience, and your knowledge about the laws and the different bureaucratic procedures here were always enormously helpful. You are like an overflowing fountain full of ideas and enthusiasm in this complex world of real estate. Your good relationship with the notary also opened doors for us that we didn’t even know existed. When we encountered problems and became discouraged, you showed us a new way forward. You put us in contact with professionals and negotiated with owners so that we were able to buy the house of our dreams. You were always there for us, no matter how long it took to find the right house. You are like a rare pearl, and we are very happy to have found someone so human and so kind in this world where so often, money is all that matters. We are very grateful and wish you many more satisfied clients. Our “exploratory trip”, which was mainly meant to give us an idea of whether we could eventually move there, was very revealing. And that is mainly thanks to your objective and always honest presentation of the local realities during our visits to houses, different regions, etc. We very much appreciated your patience in sharing information with us. We have very pleasant memories of you and we will also remember you if the opportunity arises for us to move to Punta del Este in due time. At present the conditions are not right for such a move due to family-related circumstances, but we will undoubtedly consider the idea once again in the future. And when we do, you will be our first choice, of that you can be certain. Once again, we would like to express our gratitude to you, along with our best wishes for a good start in the new year 2011, and for your health and well-being. I was impressed by the friendly, personalized, efficient and comprehensive assistance you provided, from our first conversations, to your continuous updates on the situation while I was far away in Germany, to your quick response to all of my questions, and finally in preparing and carrying out the meeting with the notary. By the way, your choice of a notary was very good! I would gladly do it all over! I also thought it was great that we spoke on the phone so frequently. Quick and direct, no long letters or emails. It really simplified the process and speeded up the negotiations. And it is really reassuring for someone who lives in Germany and isn’t right there. And in general: speaking German makes everything so much easier (for me)! And also the fact that you know the German or European mentality perfectly well, as well as that of the Uruguayans. You really do a great job at “building those bridges”! I was also able to experience as a buyer the great sensitivity you show and your ability to “sound out” what is important for your clients. Once again, thank you so much for showing me exactly what I was looking for and for the “house hunting tour”. This is important both for potential buyers, who are normally undecided, and for you, since together you can rapidly rule out what the client is NOT interested in. I have the impression that this way you are able to immediately grasp what the client is looking for and then focus the search on properties that might really interest them. Knowledge, understanding and sensitivity, in other words: 10 out of 10! Most of all, now we know which region we like the most. As soon as we have finished getting our affairs in order here, we will see you again to make our dream a reality. Until then, the van Bevern real estate website will remain our number one favourite. Unfortunately, we learned from the experience of the purchase of our home in Montevideo, for which the broker was another real estate agency, that not all real estate acquisitions are problem-free. Luckily we decided to give you power of attorney for the purchase of our home, and you were then able to successfully finalise, to everyone’s satisfaction, a transaction that almost fell through due to the rather unprofessional conduct of our contractual partners. In the case of the piece of property we purchased, you were our broker from the very beginning and because of this we were spared any unpleasant surprises. Since this was our first real estate purchase in Uruguay, we acted very cautiously and it is possible that at times we ended up being rather “annoying” clients because of all the questions we asked. That is why we would also like to thank you for your patience and above all for your competence and knowledge in this area. We would like to stress that from our first contact through your website right up until the signing of the contract we did not observe a single shortcoming of note, despite the fact that we consider ourselves to be rather critical consumers. After all of these positive experiences, we hope that perhaps at some time in the future you will also establish real estate operations in Montevideo, since we have the intention of making another real estate purchase in a few years and will want a truly reliable broker who speaks German and perfect Spanish. The preparations you made for our visit were more than extraordinary! All of the information that you had provided us was fully accurate, and we were able to gain in-depth knowledge of the country in a very short time. Then, the visits to the houses that interested us were Martina’s job. We have lived in many different countries around the world and have bought and sold houses numerous times, but Martina’s professional guidance, patience and sensitivity for finding just the right houses to meet our expectations were remarkable. In fact, we found a house that we liked so much that in spite of our initial plans, we decided to buy it immediately. Martina and Michael kindly accompanied us through all the official procedures, which meant that our lack of knowledge of Spanish and other matters was no obstacle whatsoever. They even included a guided tour of the fascinating capital city, Montevideo! And they also accompanied us to the mandatory meeting with the notary (and had all of the important documents professionally translated). And so, if anyone has the (excellent) idea of buying a house in Uruguay: there is no better place to go than Martina and Michael van Bevern. Today we wanted to write to you and thank you again for the lovely time we had in Uruguay. You are a fantastic team! You took us all over and showed us some really beautiful houses. Thanks to your knowledge of the language we were able to visit a school, which was very important for us, since our children are going to have to attend school. Even the night-time “crossing” from Montevideo to Punta del Este, to another hotel, in the midst of the fog (who knows where it came from) was an absolutely wonderful experience.  Punta del Este has become our dream destination in Uruguay. We have found a beautiful house there and are really looking forward to returning to Uruguay. Because we had only one week to spend there due to family matters, you had to run around a lot with us to show us all the houses we had selected on the Internet. Through you we were able to get to know some beautiful places in Uruguay. Thank you very, very much! It was clear that the time you spent as tourist guides has made a lasting mark on you. Although we made it clear that we simply wanted to get oriented to begin with, you not only took us to see the two properties that we had previously selected on the Internet, but also devoted two days to giving us an overall idea of the different possibilities. You also provided us with all kinds of additional information about the country and its people and the different regions. So much effort, given the circumstances, was much more than we would have ever expected. Thank you so much for everything. We are looking forward to seeing you again, and we are certain that with your help we will find exactly what we are looking for in Uruguay. Considering the fact that the house was only listed for sale on your website in mid-January and was already sold on March 26, 2008, this speaks well not only for our house but also for the excellent marketing and commitment on your part.